Can you Zentangle a gourd? Of course you can Zentangle a gourd! Every year Food for Thought, one of our local nonprofit organizations, holds a Calabash Gourd, Art and Garden Celebrations. 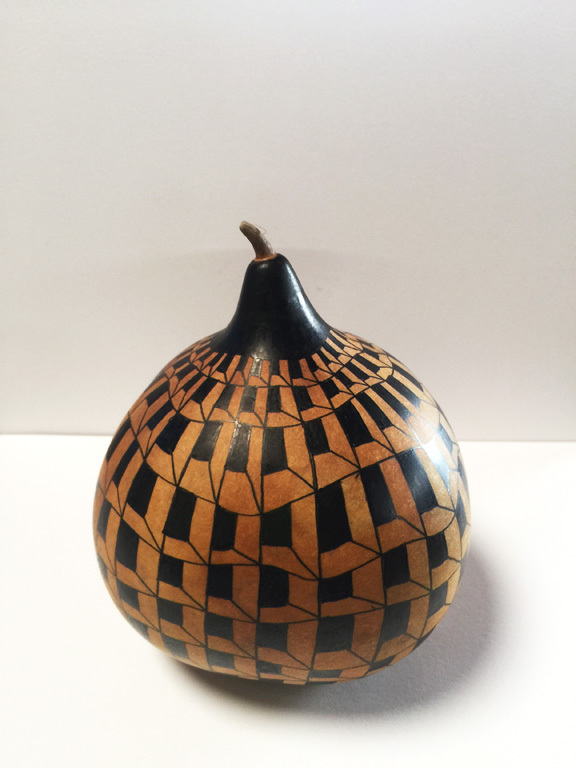 For several years now, I’ve wanted to donate a gourd for their silent auction, but somehow, I have consistently missed the deadline for applications – until this year! I squeaked my application in right under the wire. Being a newcomer to the world of gourds, I took advantage of Food For Thought’s free gourd workshop for those intending to donate a gourd. I had no idea so much was involved in preparing a gourd! It took quite a bit to prepare the surface for what was to come. And then there was deciding … what was to come?